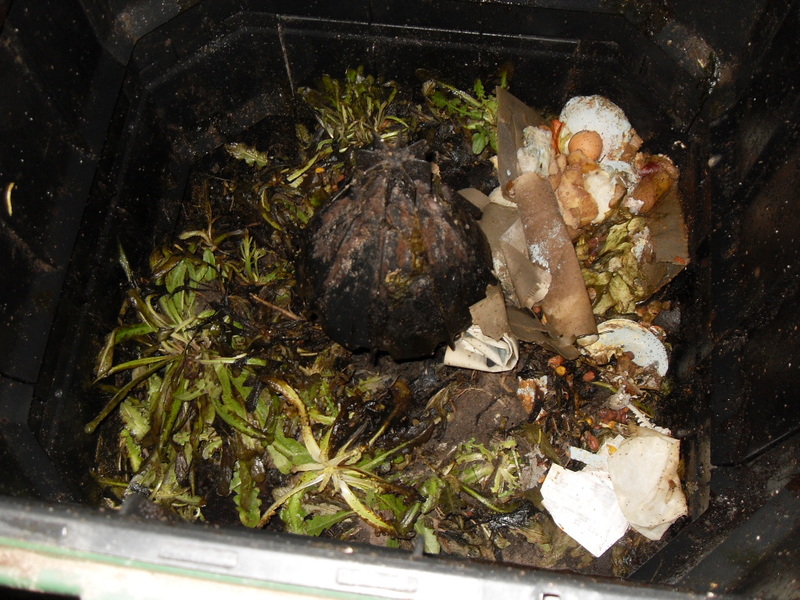 I have a few compost bins, and this is the one that does the bulk of the work. Over the past month, I’ve added 400 kilos of lettuce leaves and coffee grounds into it, and the thing is only half full. Even in the dead of winter, when I open the lid the thing is steaming. It is easy to convert most organic material from the kitchen into something that is useful for the backyard. Consider the kilo or so that comes out of the kitchen each day, and over the year you have more than you could ever carry. I’ve also been throwing in those handy wipe things and shred most of the paper that comes along. Really is amazing how much material is available that would otherwise go into the bin, and this way can be naturally returned back to the earth, all thanks to your wise investment in a compost bin, or a simple compost stack. Very satisfying to watch it all happen, and not too difficult. It was really getting into the habit of doing thing that was the hard part, and now taking out the kitchen scraps each day is just normal. Tags: coffee grounds, compost, Fertilizer, soil. Bookmark the permalink.